These fun bird feeders will attract birds right up to your windows. 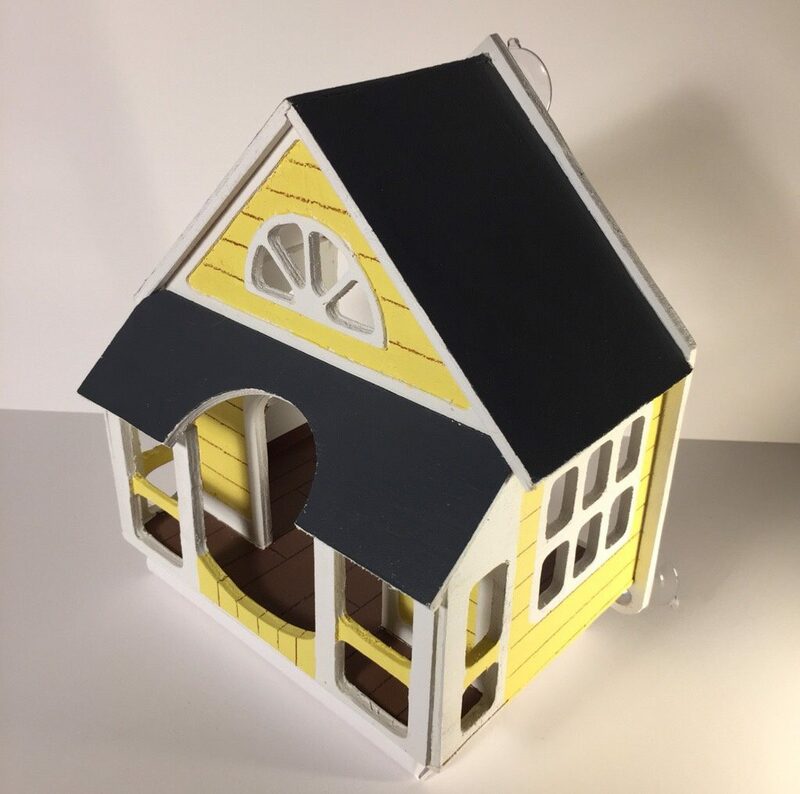 No one could blame the neighborhood chickadee or goldfinch if they actually wanted to move into one of Jada Fitch’s bird feeders, which are built to look like bird houses – real bird houses, complete with porches and painted portraits hanging in the hallways. 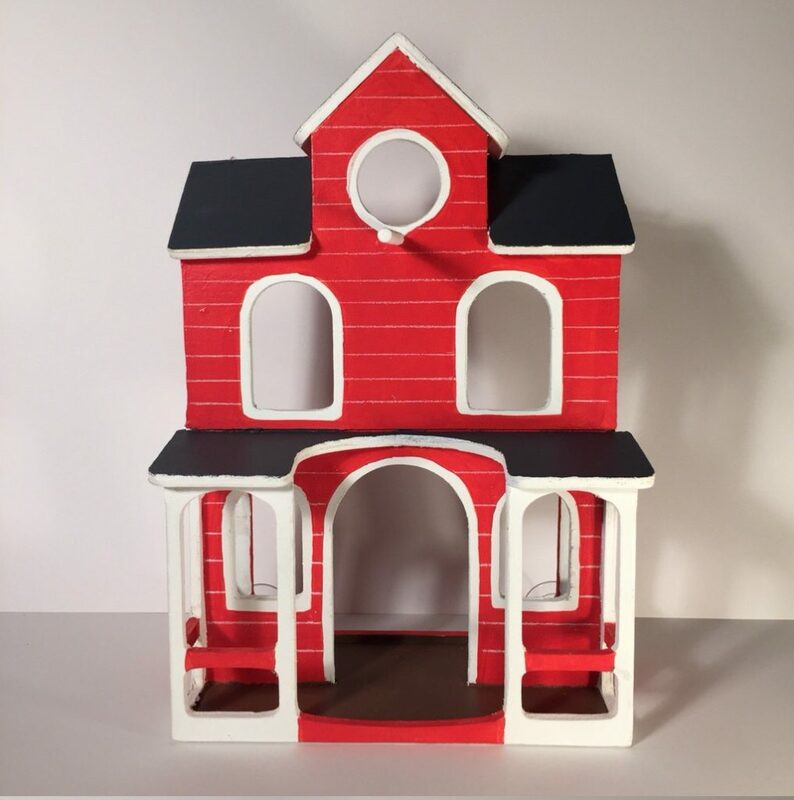 Fitch’s line of bird feeders, called “Home Tweet Home,” hatched three years ago, when the freelance illustrator made a cardboard version, painted it with watercolors, then posted it online, where it quickly went viral. Thinking this might make a good side business, Fitch then made 200 feeders out of collapsible corrugated plastic, the same material used to make campaign signs. She sold them all, but didn’t like the material or the fact that it contained plastic. Now she makes them out of wood, with perches and porches and plenty of windows for little birds to hop in. “Chickadees will fly in most any little hole they can, and sometimes they’ll go in the door and leave out the window,” Fitch said. Goldfinches like to find a perch and chow down, she said, so they often will just sit in a window and eat. (The birdseed is scattered on the floor, as if a little bird grocery bag had broken.) Her cardinal house has a wider porch because the birds like to land on a flat surface. 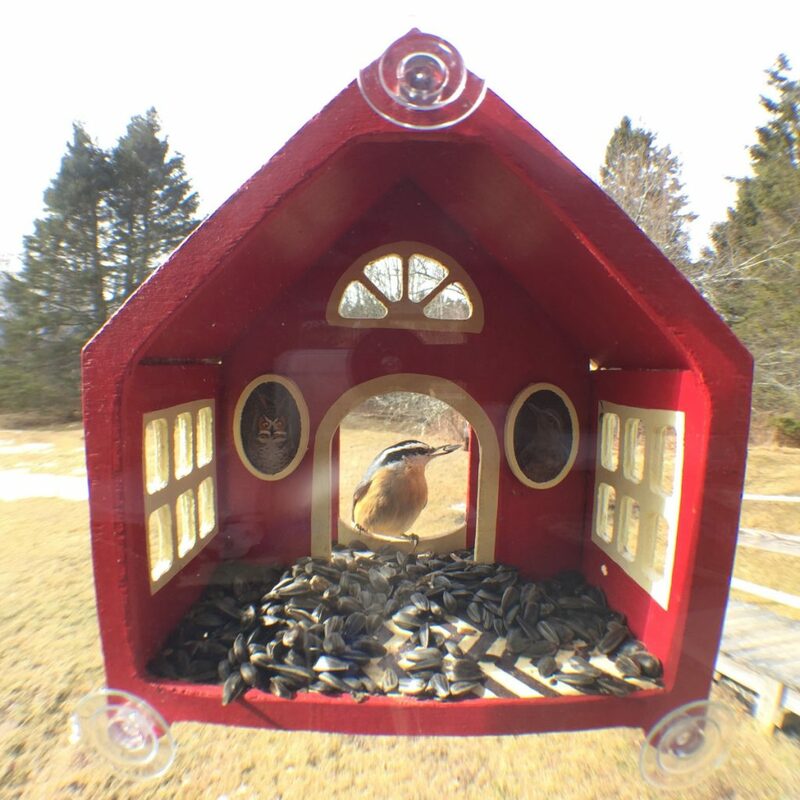 The feeders have suction cups, which attach to windows so you can watch the birds from inside your home, close-up. Fitch’s customers have ranged from moms who buy the feeders for their kids to residents of nursing homes who can’t get out and enjoy nature. “People buy them for their cats,” she said. Fitch is no fly-by-night bird enthusiast. 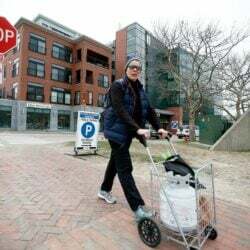 She does illustrations for Maine Audubon, loves to go birdwatching, and has bird feeders and bird houses at her home in Addison. In the summer, she is a volunteer bird bander for the Biodiversity Research Institute. She still hopes to find a way, perhaps by using doll house furniture. The feeders cost $99 and can be found on Fitch’s Etsy.com page and on Home Tweet Home’s Facebook page. They sell out quickly, so if you don’t see any online, or don’t see one you like, check back later.